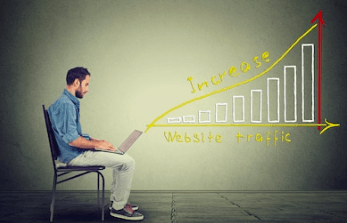 Everyone wants more traffic to their WordPress site and even better if it’s free. I am going to show you how to get free traffic to your WordPress site in a long run with those approach and it is not just a single blast to your site. The approach will involve SEO, content strategy, email, social and technical configuration. Don’t worry and I will try to keep it simple. Everyone I guess unless you have a website which does not want to be seen. For the higher demand group, many small medium companies do not have enough budget to spend on paid advertising but they do need more traffic to their WordPress site in order to do brand building, lead generation or do online sales in their WooCommerce e-shop. Beside small medium companies, I guess enterprise with advertising budget will also be interested in free traffic as no one reject free traffic right. Say NO to this free traffic! 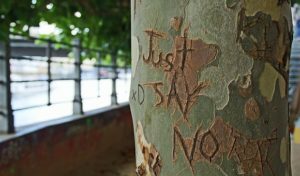 Will it be weird to decline free traffic? If there are traffic which only attract users without paying intention, those are the traffic you do not want. For example, users look for free, nulled, hacked & crack keywords do not create much value to your business. It’s a good way to attract traffic but not for conversion. Unless you already have plan on how to nourish this free traffic to something useful in the future. Let’s say you offer something for free, but you require them to share in social share in exchange to the free content. Then this will create some value in a sense that it bases on your strategy. It’s tricky but still possible. 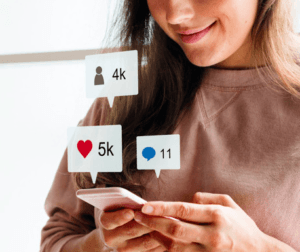 Many companies have their own social page in different social media like facebook, instagram, line, linkedin, whatsapp, wechat. So the first thing you need to know is that are you looking for b2b traffic or b2c. If you are looking for b2b traffic, you should focus on linkedin, whatsapp. So b2c will be facebook, instagram, line. If you need more china traffic, wechat will be good for such. Beside company social page which is harder to get organic reach now, sometimes use your personal account will be a good option as facebook is changing their algorithm toward users than page. If you do not pay for advertising, your page will be hardly noticeable to users. So you could use your personal account to share your website information to attract their clicks. So you will wonder what kind of content you should be sharing right? You should look into your google analytics and find the past 3 months highest view web page. Have a look whether that content is actually relying on time like news or it’s eventually evergreen content where no matter you read that now or one year later, the content itself is still valuable and do not rely on time. Many people did not know eDM still work nowadays and it is actually working better than in the past due to the drop of social media organic reach. Today maybe you rely on facebook, tomorrow on instagram. So the time and effort for you to grow the fans in facebook is less useful now as lower organic reach. And there will always be another facebook or instagram in the future which you need to catch up and start from zero every single time. For email list building, it’s different. 15 years ago, when there is no facebook. Those email list you accumulate back then can still be useful nowadays if they did not un-subscribe from your list. But that’s another issue as it depends on whether you are bringing enough value to them and how often do you send to them. 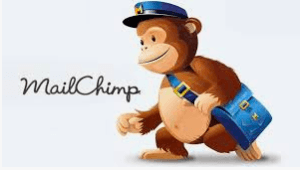 In order to build up the email list, you could consider mailchimp which is popular eDM software used by millions of companies. Even better, they are offering free plan up to 2,000 email list which should be enough to use for a while for HK market. You only need to install the mailchimp for WordPress plugin and sync the account. Then you are all set and last thing you need to do is putting the sign up box to your site via widget. It’s pretty simple and straight. 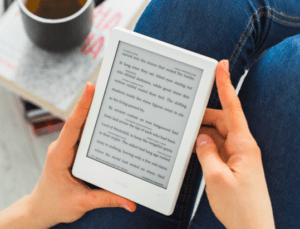 Good thing about ebook is that people can circulate with their method via IM, email or social and the ebook should have your company logo and link. This kind of free valuable sharing will let a small percentage of competitors knowing you more or copy some of your method. But a larger percentage of people / companies will know you are expert in that field and ask your for service or buy product from you. So don’t worry about the copier and ignore the bigger opportunity. In fact, no matter you share those valuable information or not. Some body is going to do so at some point. If that’s the case, why don’t you be the first to do and leave a good impression to people / companies to increase the chance for exposure? If you think this is the right way to go, here’s what you can do. If your WordPress site has some blog about tips and hacks already, it’s easy for you to simple to use some online ebook generator or designer to create the ebook depending on the quality you are expecting. Some online ebook generator is free or free trial if you simple want to run a pilot testing. You can start to write some tips and hacks if you don’t have such content now for ebook. It’s never too late to start. 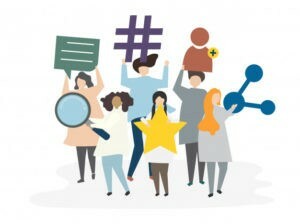 Infograph is one of the top social sharing content. Even more than those quizzes or polling. It’s something you should consider. It’s a lot easier than you think to make a ok infograph. There are several online infograph tool to create this infograph. One of the tool i’ve use is infogram. You could have a look few others to see which fit your the most or perhaps you find one tool is more user friendly than other. Again, you can start with a ok quality and gradually improve from it. Most importantly is to get out to the market to see how people react so you could revise for the next one. In order to create the infograph, the content is important and you should look into your existing content to see anything you could simply re-use in infograph format. For example, if you are survey company, you always announce statistic in wording format or bar chart already. 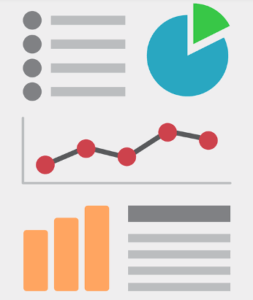 You could simply re-use that piece of data and re-pack into infograph. Remember, this approach mainly want to attract more people to share so an easy to read infograph will be good to get started. 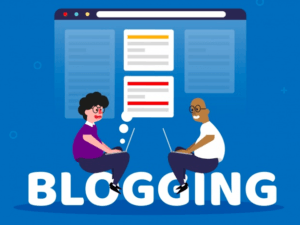 Guest blogging can get you free traffic and better SEO with backlink so it actually does 2 things to benefit your WordPress site. Say you’ve registered some account in medium, wordpress.com, blogger.com or anything blogging site in your region. Then you use google analytics to see what are the most viewed evergreen content. Next step is to re-pack or re-structure that content into several piece of content and put at those blogging site with a backlink to your website. This will create more backlink and free traffic to your website depends on your topics and the blogging site popularity. 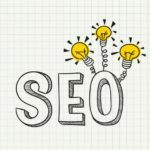 SEO is a big topic which we’ve covered it intensively in previous SEO blog post. This time I will only cover 2 basic tips. First of all, you should type your keyword in google and explore the suggested keywords. Secondly, scroll to the bottom and you will see the LSI or related keywords. So, what is so special about the google suggested and related keywords? 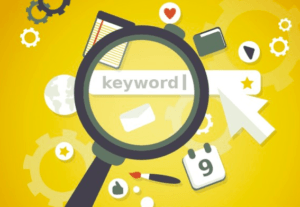 Most of the time, the longer keywords or phase are less broad which mean low competition so that you should explore and perhaps target those long tail (low competition) keywords. This way you will increase your chances over your competitors for those keywords and lead to more free traffic to your WordPress site. 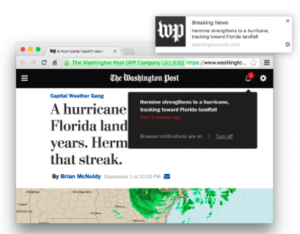 Web push is an interesting feature that i’ve seen more websites are implementing this. So what’s a web push and why does it do any good to me in terms of traffic? Web push rely on the web browser like chrome. When an user first enter your website, they will be asked to allow or decline the e-notification. If the users click ‘allow’ which quite a lot of people actually allow that than sign up their email to you, they will be in your web push list. The only way you can connect with them in via web push on the browser as you do not even have their name or email. This is a bad right as you can’t do much about it? Not at all, this is actually a good thing for the users who treasure their privacy so they will never give you their name and email anyway. Now you have this alternative way to obtain their interesting and grow your web push. 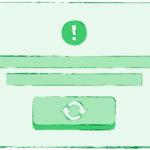 Say you’ve a list of web push subscriber, there is a web push plugin you could use. They have an online platform for you to enter short title, content and link. Once you click push, those subscribed web push users will receive this over their browser. Even a fraction of the users click on that, you will get some free traffic.receive this over their browser. Even a fraction of the users click on that, you will get some free traffic. HK still have number of forum on various topics and it still have a lots of fans visiting daily. I understand it’s far less than the past when Facebook / IG grows their users but local forum is still an good entry point for website to generate some free traffic from. It is definitely not easy to do so when you understand how forum works. Basically, each forum has many different topics which has several sub-topic. Per sub-topic, they normally have someone to be admin/moderator for that sub-topic to avoid spammy content. So you cannot simply copy and paste your link there to get traffic as you’ll simply be banned in a day or two. Here’s the strategy for local forum seeding. You will need to be involved in several topics and be active on replying normally which is nothing to do with what you want to seed. Then, you can start post new topic or reply some people question in related to what you want to post. You will need to really start a dialog and create some hook for people to ask for the link or further information. It will be the right moment to seed your content / link in when some people ask. Overall tips is be human and create conversation. YouTube is now 2nd biggest search engine in the world while Google is still the biggest but they share the same company DNA. This is probably why both are growing to such leading position. Many people / companies actually did not spend too much effort on YouTube yet. Especially in HK market where YouTube representative already said they want more content in cantonese language. Also, video consumption and demand skyrocket year over year so that it’s very good place to generate free and related traffic to your website. For starter, you should pay attention to the YouTube title, description & thumbnail which is where it attract people to click on it or not. 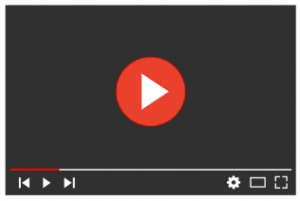 YouTube SEO is a very big topic and I suggest company could use some video app with effect to get off the ground first. Then you could learn & improve from time to time as it’s better off you start now than later. A small tips – remember to write more content in the description area with your specific web page where you want to convert users to that page. Many of the local YouTube description is still short and not much useful information there so that a good approach will increase your winning chance to be found in the YouTube SEO. What do you think of those approach to generate free traffic? 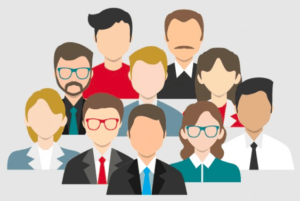 Can you think of how you could apply to your WordPress site? Getting free traffic is not a rocket science but it does involve number of effort. I have tried these method in different sites and some methods work better than others so you do need to do a pilot testing to see which method works best for you. I hope you could have a try and let us know your result. If you have question in about free traffic or things about WordPress, feel free to reach out to us via the Facebook chat or contact us. We’re here to help.